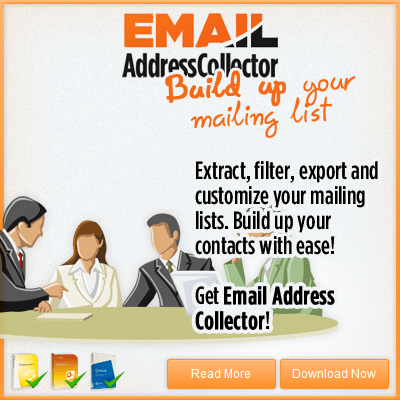 Obviously, the first step is to actually download & install Email Address Collector. Once you’ve installed it, you can start the program from Windows Start -> Programs menu -> DS Development programs group -> Email Address Collector. 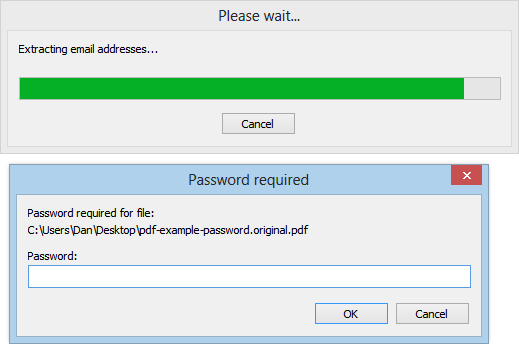 Before starting to extract email addresses from PDF’s, you need to select your PDF files: on the left sided panel, select “Folders and Files” and browse to the disk location of your PDF files. You can choose to extract email addresses from all files found in a selected folder or you can choose to extract email addresses only from selected files. When you select the files to extract from, you don’t necessarily have to select only PDF files. Your selection can contain any other file format supported by our software: doc / docx, xls / xlsx, html, csv etc. Once the PDF email addresses were extracted, the program will display the results in the middle panel. 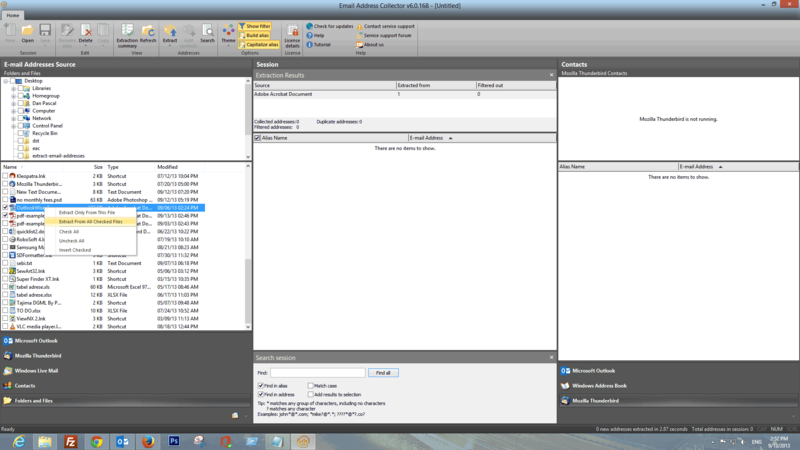 When you are done sorting them, you can save the extracted email addresses as a standard CSV file (readable by almost any other program) or you can export the addresses as contacts to your favorite email client program (Microsoft Outlook, Outlook Express, Thunderbird, Windows Address Book etc).